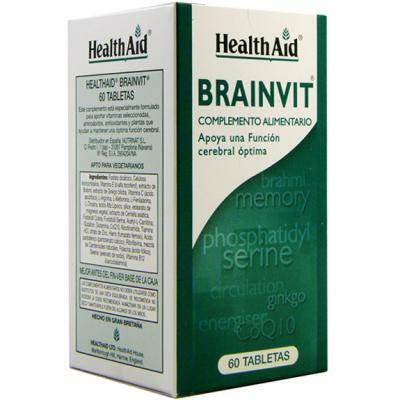 BRAINVIT (BRAIN, MEMORY) OF HEALTH AID. 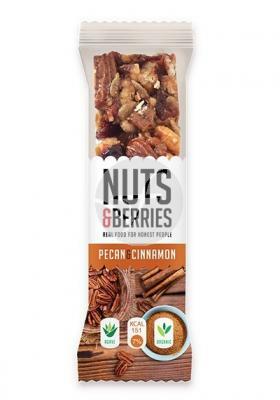 GENERAL information: Nutritional supplement that associated with vitamins, minerals, plants, amino acids and other ingredients that help the maintenance of an optimal brain function by promoting blood circulation and ensuring an optimal supply of nutrients in our body, and in particular, of our brain. TWO tablets composition: Vitamins: vitamin B1 (thiamine), 15 mg. vitamin B2 (riboflavin), 3.2 mg vitamin B3 (NIACINAMIDE), 18 mg vitamin B12 50 mcg. Vitamin E (100 IU), 150 mg. vitamin C, 60 mg. Pantothenic acid, 12 mg. folic acid 400 mcg. Natural carotenoids (mixture), 120 mg. minerals: iron, 14 mg Zinc, 15 mg selenium, 200 mcg. Plants: Extract 4: 1 of centella asiatica equivalent to 120 mg of powder of centella, 30 mg. extract 20: 1 of brahmi equivalent to 3,000 mg of brahmi powder 150 mg. extract 50: 1 ginkgo biloba equivalent to 3,000 mg of ginkgo powder, 60 mg. amino acids: L-arginine, 50 mg. glutamine, 20 mg. glutathione, 20 mg. L-methionine, 50 mg L-phenylalanine, 50 mg L-tyrosine50 mg. acetyl-l - carnitine, 20 mg. antioxidants and phospholipids: Phosphatidyl choline derived from soy lecithin, 25 mg. Phosphatidyl serine for soy lecithin, 25 mg Co-Q-10, 20 mg acid alpha lipoic acid, 50 mg.
EXCIPIENTS: phosphate dicalcium, microcrystalline cellulose, vegetable stearic acid, vegetable magnesium stearate. Directions for use: two tablets a day after eating, in adults and children over 14 years.